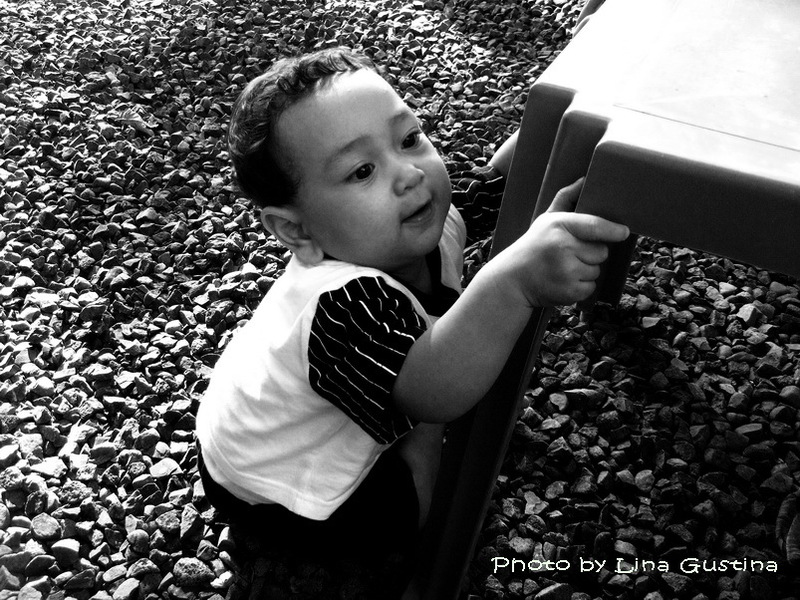 One bright afternoon, his mother -my SIL- let him to play ‘dirty’ with the gravels in the front yard. He’s still learning to stand. I was in the right position to capture the moment. Lovely moment and excellent choice for black and white. he is so CUTE! 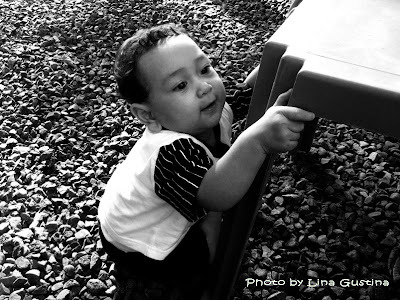 you can see DETERMINATION in his innocent face.. nice shot, Lina! thanks for sharing..
Beautiful shot. He looks so detarmined. It won't be long before he's running around!